April 22, 2013 By Tina M 8 Comments This post may contain affiliate links. Read my disclosure policy here. I wish I had started doing this before I had kids, but right now I am trying to assemble/put together at least one learning activity/busy bag/file folder game each week. Hopefully soon I will have a vast collection in my mommy book and filing cabinet. This week I chose pom pom printables for my collection! I found these over at Fab N Free and I just love them. 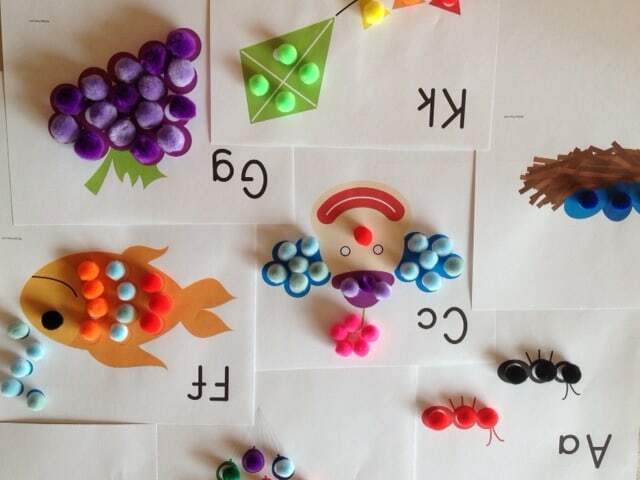 There is a printable page for each letter of the alphabet, and they are all so cute! I buy a multi-pack of pom poms since printables tend to very in size. You can get a good variety pack on Amazon, or for an even better price you can try Oriental Trading. Attach a small magnet to each pom pom, and place your printable sheets on a magnetic surface or get a cookie sheet from the dollar store. 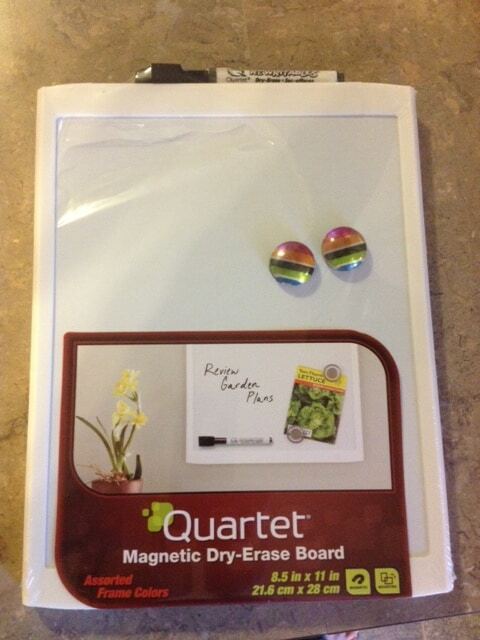 I have seen people using cookie sheets, but I preferred to pay just a little bit more and get a magnetic dry-erase board. It’s more pleasing to the eye, easier to carry in a pouch or diaper bag, and it doubles as a dry erase board! I got mine at Walmart. *Note: When I printed mine out they printed 2 to a page, so make sure you adjust your settings if you want them to be full sheets. I’d rather mine be half pages anyway because I want them to make them into a busy bag. I also laminated mine so that they last a long time. For the Magnets, I just bought magnetic strips at walmart for $.97 and then hole punched a bunch of little circles. The package comes with 3 sheets of 6 strips and each strip makes about 26 circles. 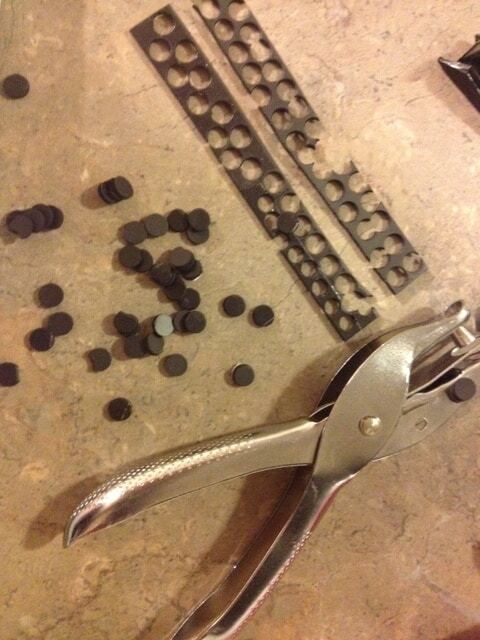 If that sounded confusing, one package will do over 300 hole-punched circles. If you don’t want to make the magnetic pom poms, I saw a post where someone used these power magnets instead. If you love these pom pom printables, be sure to print them out now and add them to your printable collection before you forget about them! Also be sure to check out last month’s free printable roundup if you happened to miss the pom pom printables that were highlighted in that post. Tune in Tomorrow for April’s Printable Roundup! 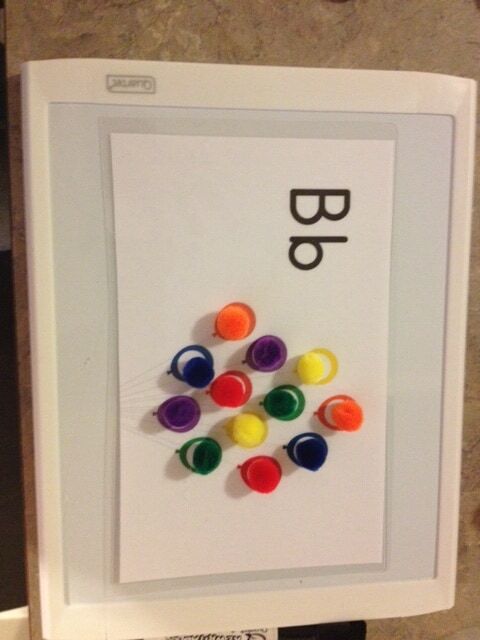 ideas on getting the paper/printable to stay on the magnetic board? This is just a guess, but it looks like she may have taken a sheet protector and attached it to the white board so she can just slip the different paper/ printable in and out….could prob. 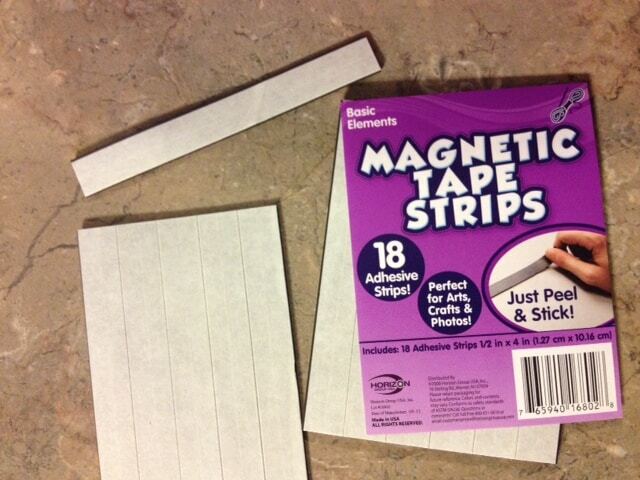 just attach the sheet protector with clear tape. Just realized she said she laminated them….you prob. could use a sheet protector too though. How do you attach the magnets to the pom poms? Hot glue?